Calm after the Storm, a photo by Patricia Manhire on Flickr. Last week we had a terrible storm – the worst in 40 years and it was a very scary experience. 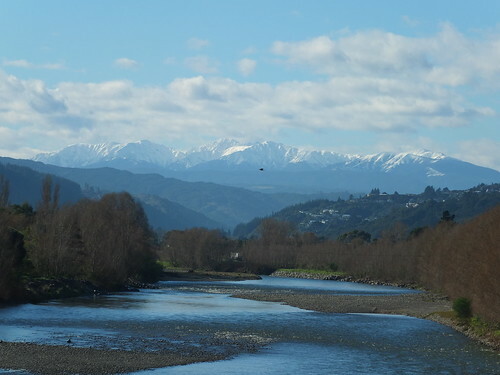 This week though, the weather has been very calm and peaceful and I took the opportunity to go down to the Hutt River and take some photos of the snow clad mountains as a backdrop on the river. It was looking stunning today and the higher level of water makes for a better composition, I think. Mother Nature certainly gives us some rewards for the down times.